Edit: Unless you have been notified, you were given your first choice. Full lists with blog links will be posted soon. Wow! We expected a good turnout, but never did we expect such an overwhelming amount of submissions in the first 24 hours. Scratch that, we still have 5.5 hours to go before we get there. The below titles have been “claimed.” Some were second choices; most were first. There were two that had both topics claimed and they aren’t listed here. We will reach out to those people individually. If you really want to cover your topic and it is already taken, you can do it in a creative way. For example, one person is doing a Kiarostami double feature and one of the films is Close-Up, but another person claimed the film by itself. Even though participation is amazing, we want it to continue to grow. We want people to see this as an event, not just a Blogathon. Please spread the word. Grab our banners from the announcement post. Post on your blog that you are participating and invite your friends. Help us make this a blast of an experience! Please also note the HQ page to see the latest updates. Eventually all titles and blog links will be posted there. We also LOVE that there are some creative titles where people are looking not only at films, but larger Criterion pieces. One example is Criterion and Animation. Another is Nicolas Roeg, and there are many more like that and probably more coming. Keep these up and you’ll make us really happy. 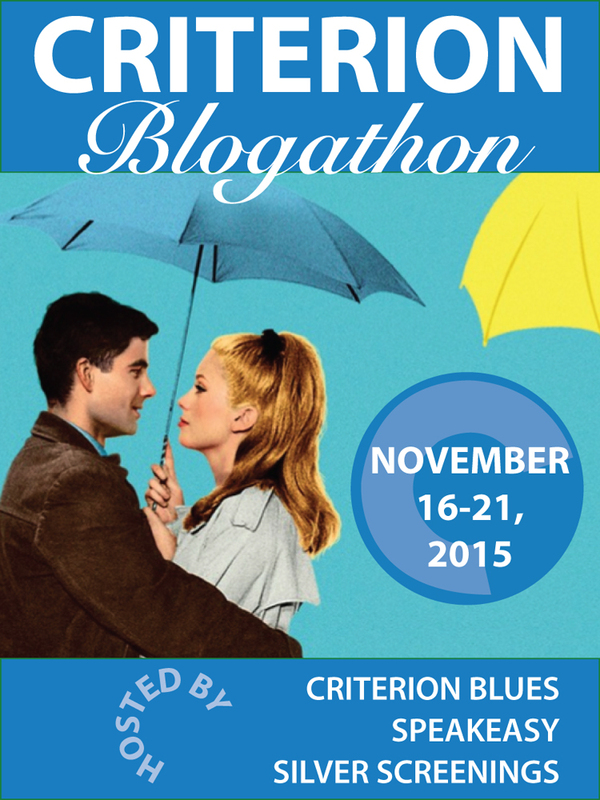 Posted on August 20, 2015, in Blogathon, Criterions. Bookmark the permalink. 17 Comments. Which choice did I get? Yahoo! Looks like I got my first choice! I popped in an additional request, which I hope is OK. I love that Watership Down is on their list! I just podcasted Watership Down for @flixwise, so I love that you chose that. You are welcome to submit as many topics as you want. You have three months. 🙂 I know someone who is planning to publish one every day of the ‘thon. There is quite a long, varied list already! Very much looking forward to writing my own piece, and reading everyone else’s. Thanks to Aaron, Kristina, and Ruth for organizing the event. Was I the person that got Judex? You sure were. We’ve contacted anyone who didn’t get their picks, and would have posted by now just the turnout was more than expected. Great to know! Looking forward to participating. Thanks! Looks like I was lucky enough to get my first choice! I was worried that 12 Angry Men would be snatched up too quickly for me to get in first! You did. I believe there were some 1st and 2nd choices of 12 Angry Men after you. I’ve been compiling the links for who got what and should post them all soon.